The Old Barn Marston is situated just off the A1 near Grantham . 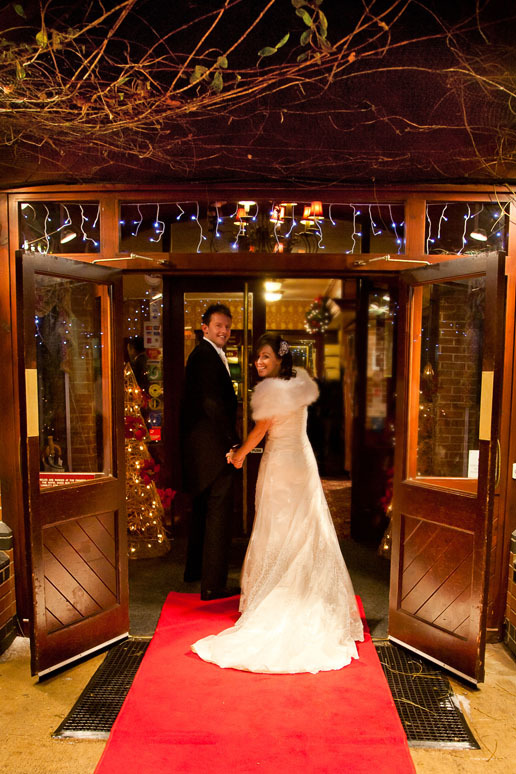 It is one of my favourite venues for christmas weddings as they always decorate it up beautifully with lots of twinkling lights and christmas trees. The delightful Allington Suite with it’s outside seating and landscaped patio area has been designed with weddings in mind. Self contained with its own bar, and reception area it can comfortably accommodate up to 170 guests. The Newton Suite provides a romantic setting for the intimate wedding reception, accommodating up to 90 guests. As an experienced wedding photographer at the Old Barn Marston I know all the best places to take your wedding photos – some of my promotional wedding photographs were taken at the Old Barn! Give me a call if you would like to discuss your wedding photography package.